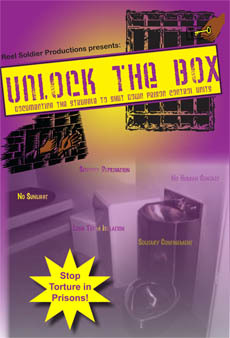 As we already know, control units are torture chambers where prisoners spend from 22 to 24 hours a day locked up in a tiny cell for long periods of time with a blinding light burning all day, with no educational or other kinds of programs and without proper medical and mental health attention. We are forced to live in here with the pigs oppressing us every day. These conditions are meant to break prisoners' mental states and spirit. They are oppression tools. Here I've seen prisoners give up and lose all hope, lose their mental states, harm, and even kill themselves. There's no doubt that these horrifying places affect the majority of prisoner's mental health. However, we can and should turn these torture chambers into our universities, for the betterment of ourselves and our oppressed comrades. The first time I was placed in a control unit (here in Florida they are called close management units or CM) I did 2 years locked up in a tiny cell 24 hours a day. In my first few months I was wasting my time bullshitting, fighting and reading mind-killing fiction books. 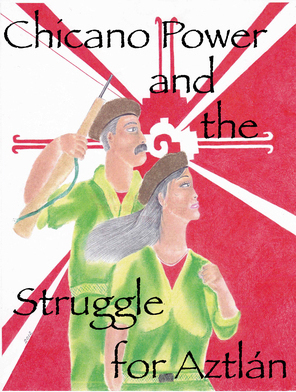 I was blind about the struggle - our struggle, oppressed against oppressor. Then, one day, a comrade handed me a book called "Last Man Standing" by Geronimo Pratt, a top member of the Black Panther Party. That book alone sparked the revolutionary in me and since then I haven't looked back. Then I met George Jackson, Mao, Lenin and Che among others. That's when I started shaping and organizing my ideals. When my family asked me if I needed money for canteen, I told them no. Instead I asked them to send me books on or by the above-mentioned comrades and I started studying full time. Along the line a comrade gave me a copy of Under Lock & Key and I loved it. That boosted me up on the prison struggle. I started corresponding with MIM and after a while I began writing articles for them. The comrades at MIM(Prisons) supplied me with good and much needed studying material and I kept working hard on behalf of the struggle - our struggle. I've learned to discipline and organize myself in a way that I never thought possible. As I grew mentally and expanded my knowledge of the struggle, I shared it with others and helped awaken their consciousness. I had access to nothing except what MIM(Prisons) sent me and my only opportunities to get out of my cell were when I had to see medical or mental health personnel and when we had recreation in a tiny dog pen and showers 3 times a week. Nevertheless, I refused all these. I thought - and still think - that by going to these I was throwing away time that I could use to study and put in work for the cause. I exercised and took bird baths in my cell. I studied even when the lights went out. I used a little bit of light that came in through the back window from a light pole that stood outside the building. The pigs were used to going around doing their checks and seeing prisoners cuddled up in their beds doing nothing or just staring into space while talking to themselves. In fact, they like to see this because they know that they are breaking the prisoners' minds and fighting spirit. But they hated it when they walked by my cell and saw me sitting on the floor with all kinds of books, dictionaries, papers and pens scattered around me. They couldn't crack me, let alone break me, and that chewed at their insides. I wouldn't give them a chance. I was, and still am, going to fight them until the very end. If I can't fight them physically I will fight them with pen and paper by spreading the word of struggle and helping other oppressed people wake up consciously. When I was close to being released to open population I told myself that if I started getting off track and losing my discipline I would return to CM on purpose to start disciplining myself all over again. When I was finally released in late 2009 people who knew me before wouldn't associate with me much because they couldn't relate to my new mindset. Fortunately I was able to wake some of them up and have them join forces in the struggle. In my first prison, after my release from CM, I quickly formed a study group of nine comrades, of which the comrade who first introduced me to MIM(Prisons) was a part. However, the prison in which we were was extremely racist and oppressive and the pigs started targeting us. For being the group's spokesperson they considered me the leader and for that alone they ransacked and destroyed my personal property every time they got a chance, threatened me, then placed me in solitary confinement on false charges. Finally they transferred me to another prison. At my next prison the pigs already knew about me, so as soon as I got there the searches and property destruction continued, but that didn't discourage me nor did it put a dent in my confidence. In a matter of weeks I had another study group going. But then, not even a year after my release from CM, I had an altercation with another prisoner who was a snitch for the pigs and was returned to CM where I currently find myself. I have come to the conclusion that open population is not for me. It only takes too much of my study time. Study time that I need for when I get released back into society. Besides, in CM I don't have the pigs in my face all day. In open population there's a great chance that I harm one of them badly and catch more prison time. So I've decided to do my remaining 14 years in a solitary cell. This might be helpful for me, but it is not for everyone because not everyone understands and appreciates it like I do. If you have no choice but to be in a control unit, don't waste your time bullshitting. Don't let these damn pigs break you. Turn the torture chamber in which you find yourself into your university. Read, study, and educate yourself. Subscribe to Under Lock & Key and other MIM(Prisons) material. If you don't have much material to study, whatever you do have study it over and over. You will be surprised by how much you can learn from reading the same thing over and over. I still have the first Under Lock & Key I ever read, which was given to me by that good comrade 3 years ago, and I still read it every once in a while. And every time I read it, I learn something new. So comrades, wake up and get to studying. Show the pigs that you won't allow them to break you and that you are willing to fight, learn, struggle, and turn their torture chambers into your university. Just don't turn it into your mental and physical graveyard. MIM(Prisons) responds: We're glad to see our work having such an impact on comrades in prison and we agree with the recommendations given for those in isolation. But keep in mind that control units exist in order to keep those who study away from the masses. A one-man university is nothing compared to running study groups and organizing sessions with a group of people. For those who are forced into isolation, Under Lock & Key is your connection to dialogue with the larger prison movement.